Bill Moyers speaks with Cornel West, Serene Jones, and Gary Dorrien for a fresh take on what our core ethics and values as a society say about America’s politics, policy, and the challenges of balancing capitalism and democracy. Former Green Party presidential candidate Cynthia McKinney remains in an Israeli prison after the humanitarian aid vessel she was a passenger on was captured by Israeli Occupation Forces. The ship was bringing suitcases of crayons for children, medicine for the ill and dying in Gaza, and bags of cement for reconstruction. Twenty-one on board the Spirit of Humanity were abducted, including Nobel laureate Mairead Maguire, who said by phone that there were several injuries sustained. She is now on a hunger strike in prison, in support of the people of Gaza. Both she and McKinney have been able to make infrequent cell calls. If this kind of naval piracy involving another POTUS candidate had happened in Somalia, or North Korea, or Iran, one expects that there would have been a frenzied response: statements by our Secretary of State, by our President, and Navy seals and helicopters swarming the area, and non-stop news coverage until the kidnapped Americans were rescued. The international atomic energy agency has formally appointed Yukiya Amano from Japan to be its next Director General. Many are curious to see how this soft-spoken man will hold up considering the polarizing issues facing the Agency. Amano has already said he sees NO solid evidence on Iran seeking nuclear weapons. Press TV’s Margaret Childs has the details from Vienna. One of the reasons, in my opinion, that so many people are ready, willing, able and yes, eager to succumb to “hope,” is because most of us believe that true change is not possible. In our heart of hearts, do we really think that Obama is an agent of change for the people? Have we not been fooled, yet again? So, we lay all of our hopes and dreams for a better life on one person and allow the inevitable heartache of betrayal to wash over us and once again drown us in disappointment when that person turns out to be just another politician. Politicians just act like politicians because we always let them. OK, so nearly 12 years after he was indicted for his alleged part in the African embassy bombings in August 1998, over six years since he was seized after a gunfight in Gujrat, Pakistan in July 2004, and four years after his transfer to Guantánamo — after two years in secret CIA prisons, where, he says, he was “a victim of the cruel ‘enhanced interrogation techniques’” — Ahmed Khalfan Ghailani, a Tanzanian and one of 14 supposedly “high-value detainees” transferred to Guantánamo in September 2006, will face a trial in a federal court in New York. On Thursday, Federal Court Judge Lewis Kaplan set a date of September 13, 2010 for his trial to begin. 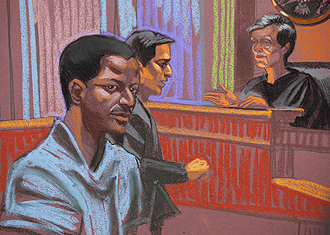 A courtroom sketch of Ahmed Khalfan Ghailani, by Christine Cornell, at his arraignment in New York on June 9, 2009. 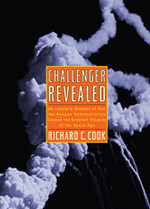 I picked up Richard Cook’s Challenger Revealed without expecting too much from it. I’ve never thought that the writing on the space program was either that interesting or well done from the technical side, and on the political/sociological side it mostly all has been P.R. I also had my doubts that anything much worth reading was ever going to get written about as preventable a disaster as the Challenger loss was, particularly this many years on. 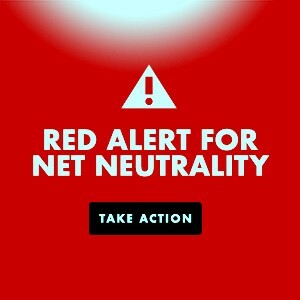 On reading it, I was greatly surprised. Not just surprised, but shocked, infuriated, stunned, and inspired. Challenger Revealed is one of the best books on the present condition of the American nation’s current social and institutional sicknesses and failures that I’ve come across ever. It has been criminally ignored by the newsmedia and the literary community and it needs reading by every patriotic citizen of this country who is concerned with its present ailments and future prospects.